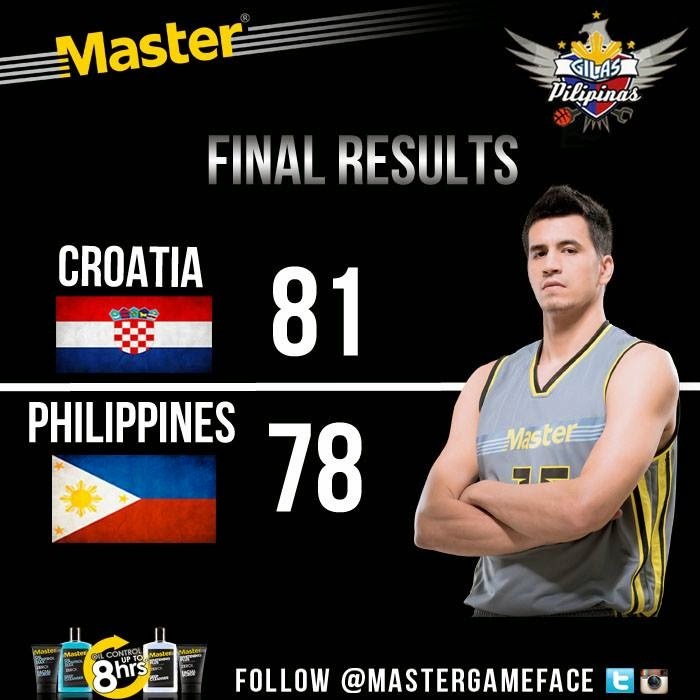 Remember the contest in which Master, the biggest male face care brand in the Philippines giving men that oil free look will also give tickets and trip to Spain to watch and support our very own Gilas Pilipinas on their basketball match against other countries at the 2014 FIBA World Cup. Well the five very lucky Filipinos are Jeiel Guarino, Clipper Besin, Michael Cleofe, Jerome Hernandez and Andrew Penaranda. They watched and cheer for the Filipino players and witness how Gilas Pilipinas put their oil free game faces on. As the Gilas Pilipinas team gave all their heart (#PUSO) to the game and offer its opponent a tight battle, the Filipinos specially the winners of the contest are very happy to witness game.